BeST_Fibonacci Retracement Lines is an MT4 Indicator that by default is based on common Fibonacci levels but it can also draw any 3 desired levels of Retracement or Support of a trending move. 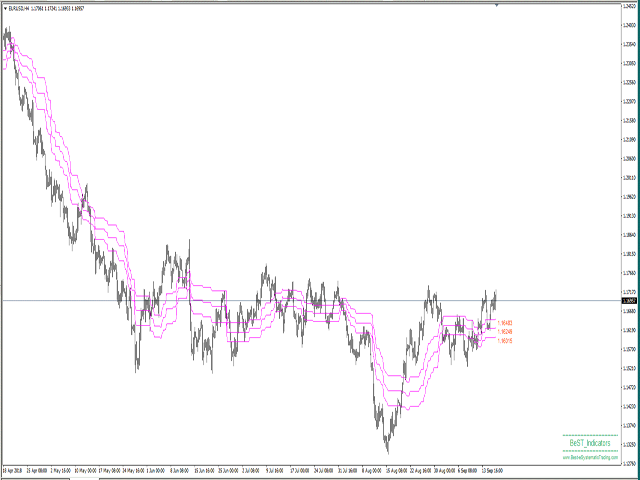 It can be used to identify pullback points but also additionally as a kind of a Trailing Stop. • by default draws 38.2%, 50% and 61.8% Retracement Levels of the current price move defined using the Highest High (HH) and Lowest Low (LL) of a desired Look Back Period. • it can also draw any 3 desired levels of Retracement or Support of the current move. • Select Look Back Period: It is the number of bars that we Look Back on the Chart defining HH and LL in order to calculate the % Retracement Levels. • Select 1st, 2nd and 3rd Fibonacci Retracement Levels: in fact you can select to be drawn any 3 Retracement % Levels of the current move, you want. 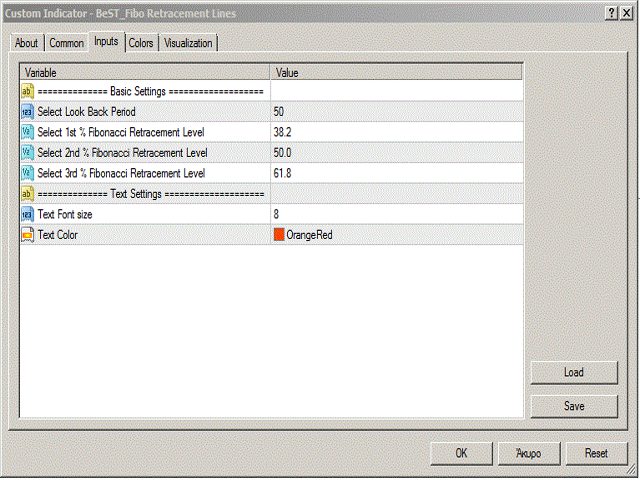 • Select Text Font size and Color: You can select the text settings of the drawn levels.